Situated in the Pyrenees National Park, not far from the Spanish border, the ski resort of Val Louron sits atop the Col d'Azet mountain whose slopes roll down into the valley of Louron. Located in the department of Hautes-Pyrénées, in the Midi-Pyrénées, its altitude is between 1450m at the bottom of the station, and 2100m at the top. The Col d'Azet (of Tour de France fame) is used as the access road up to the resort from the valley village of Loudenvielle. The drive up to the ski resort actually takes in a large stretch of the climb turning off to the resort just before the “Col” shows on the horizon. 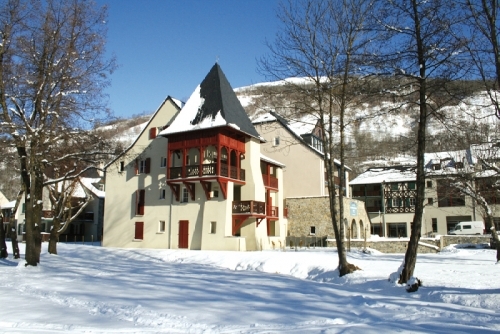 There are also other winter activities and amenities down in the valley, at Loudenvielle such as the famed Balnea Spa and Wellness Centre. In the heart of a nature reserve, with east-west facing slopes the ski area of Val Louron allows you to constantly ski in the sunshine, offering stunning views at the same time. It offers high quality snow coverage, including one of the most wonderful beginner areas of the Pyrenees, surrounded by fir trees, perfect for the novice. 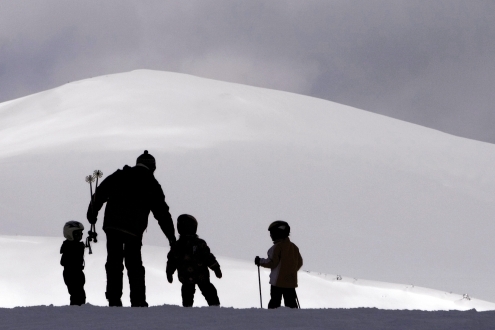 This is the perfect place to introduce the whole family to the joys of skiing on snow. The resort of Val Louron is much more relaxed than the 'snow factories' of the Alps - here you learn to ski at your own pace on uncluttered slopes that are free from the 'super-skiers' who speed down the slopes! The Louron Valley is equally remarkable for its stunning landscape as it is for its architectural treasures. The unspoilt valley encompasses numerous picture perfect villages such as Avajan, Bareilles and Vielle-Louron, constructed from stone, wood and the local valley slate. Romaneque churches perch precariously on mountainsides and further enhance the valley's rich architectural heritage; many displaying frescos dating back to the 16th century. Watch towers dating back to the 9th and 10th centuries pepper the landscape - a lasting reminder of conflicts past and when the valley was pludered by the Saracens. Further towers were built to protect the valley inhabitants from Moors who would cross from the nearby border with Spain. Gastronomy is of significant importance to the valley locals. A wide range of restaurants and farmers' markets using and selling local fair allows you to sample the delights of the region. The hearty Garbure soup is a must, along with the succulent slow roasted lamb all washed down with a refreshing local cider. Why not try a Kir Breton which is a delightful mix of crème de cassis and scrumpy? If you still have room for desert then you should try the Gateau a la Broche - a layered cake cooked on a skewer! For those who prefer a more traditional village feel to their stay, the pretty village of Loudenvielle is just 12 km from Peyragudes ski area. It is a real haven of peace and is situated close to the famed “Balnea” Spa and Wellness Centre and the pretty Loudenvielle Lake. It has everything you need for your ski holiday from its own Tourist Office and ski hire shops to a pharmacy, newsagents, bakery and a handful of restaurants and bars. For those who prefer a real “Getaway” destination, this small village with its old narrow streets and and small lake is picture perfect. The small church of Saint Blaise with its 16th century clock tower and the chapel of Saint Christau are all reminiscent of the history of this ancient village. It is just 6 km from Loudenvielle and 11km from Peyragudes ski area. This small hamlet has a couple of restaurants and a bar and is in the heart of the Louron Valley in an idyllic location. The small village of Bordères-Louron sits on the “Neste de Louron” a pretty little river that flows through the valley. It has a 19th century church with an 18th century altar piece by the famous sculptor Marc Ferrère. 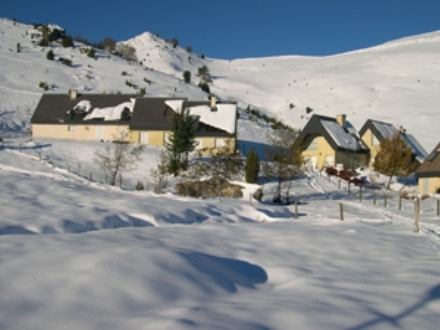 Just 9 km from Loudenvielle and 13km from Peyragudes ski area, it has a couple of restaurants and a bar and is in the heart of the Louron Valley just 5 km from the beautiful gateway town of Arreau. Val Louron ski area open: TBA for winter 15/16. In the Lapadé forest close to the beginners area, children and adults can discover and learn about animal footprints, plants and fungi of the mountains through several fun trails. Here you can learn all about logging, mycology (study of fungi), osteology (study of bones), the wildlife and fauna at the expo cottage and you can even visit the workshop and make molds of the animal footprints. Enjoy the thrill of the ‘Mush’ as you drive your pack of huskies around the Nordic trails set in the wonderful Balestas snow covered meadows. Get back to nature and the good old days with these ‘old fashioned snowmobiles’ as you live out your Scott of the Antartic fantasy safe in the knowledge that a warm bed is never too far away. Options abound with activities to suit all abilities. A high-tech cinema, Arixo (3D), is open all year round in Loudenvielle. Films are advertised on the boards outside and range from mainstream blockbusters to art house films. Many of the films are subtitled. Ticket office opens 30 min before the film starts. Evening showings on Wednesday, Thursday and Saturday at 6 or 9pm. The toboggan run on the slopes is a fun activity for children and adults alike. Set amongst the pine trees, children can enjoy the dedicated luge slopes under the watchful eye of their parents who can enjoy the sun on the overlooking terraces. Val Louron hosts a range of activities throughout the winter season from cinema screenings on Wednesday to torchlight parades organized by the ESF and open to all on Thursday (both during school holidays). There is also the spectacular arrival of Santa Claus and a fireworks display on December 25 with distribution of chocolates to children along with concerts and many other surprises. The Louron valley offers many outdoor and cultural activities for adults and children alike, of all abilities, and has a rich rural heritage. 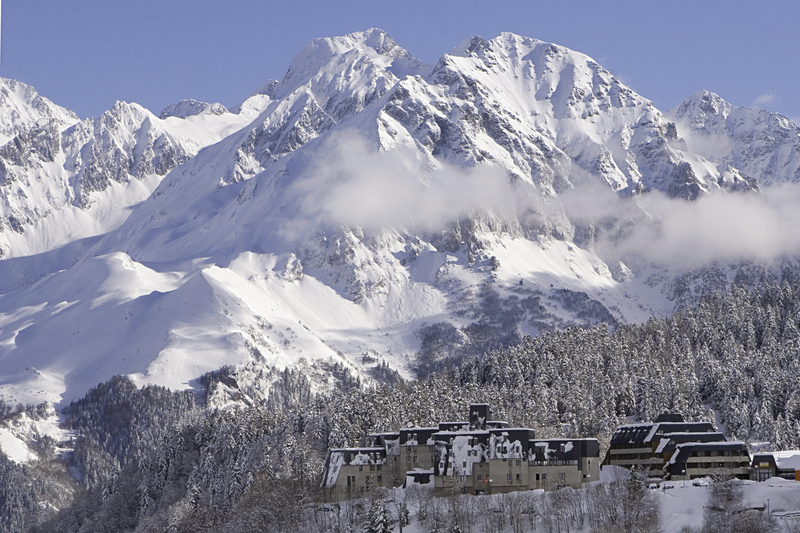 Val Louron resort itself offers a wide range of additional winter activities: the “Balnea” Spa and Well-being Centre, dog sleigh rides, snow shoeing, paragliding, nature trails and a museum and cinema. Thermal spas are typical of most of the Pyrenean ski resorts and are one of the must try experiences. Open all year, the “Balnea” Spa and Well-being Centre, with its famed natural spa water which is rich in minerals, also offers a range of beauty treatments and massage from ayurvedic to hot stones and Tibetan bowls. The themed baths are a sensory delight – from the American Indian baths with its totems, bubble beds and geysers to the Japanese baths with their onson-like heated outdoor relaxing areas and zen gardens. Finally the Roman baths with their Greco-Roman pool, saunas, hammams and Jacuzzis as well as a musical bath! A great place to unwind after a hard day on the slopes! There is a free ski bus from Peyragudes to “Balnéa” during the French school holidays of December and February (see Ski area section below). Val-Louron has marked snowshoe routes in the Lapadé forest which gives the walker plenty of opportunities to discover the mountain and its nature. The walks are easy to navigate and there is a brochure available and the Tourist Information and Lift Ticket Offices. Alternatively, if you are not that confident walking on the mountain or if you would like to be shown some of its hidden treasures, then you could always use the services of a guide. 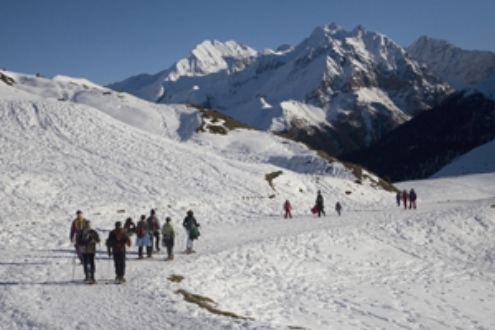 The ESF Val Louron offers guided snowshoe walks from the ski resort. All tastes and budgets are catered for and itineraries can last for as little as half a day or for up to several days including eating fondue in a shepherd's hut! The skies above the Louron Valley are renowned as some of the most attractive of the Pyrenees. The mountain pastures atop the Col d'Azet, with their rounded and gentle profiles are perfect for easy take-offs. The pastures offer numerous take-off points at varying altitudes so there's always a good chance you will find the required wind and thermals. The landing strip down in the valleyy near the lake is so long that a glider could land on it! A truly unique experience as you fly high above the snow covered resort on warm thermals that are usually the preserve of the mountain birds of prey surrounded by pointed Pyrenean peaks and deep valleys! Thrill-seekers might want to have the exhilaration of experiencing some tricks such as wing-overs and spirals while others can relax and enjoy the solitude of gentle flight. Paragliding is available to anyone from the age of 5 years old. Located in the small village of Loudenvielle or nearby in the Louron valley. Family run friendly restaurant with great food and atmosphere and views across the Louron Valley. Loudenvielle. Tel: +33 (0)562 390824. Loudenvielle, Tel: +33 (0)562 996804. Génos. Tel: +33 (0)562 409202. Génos. Tel: +33 (0)562 996409. Avajan. Tel: +33 (0)562 996708. Borderes Louron. Tel: +33 (0)630 754369. The Louron Valley has nightlife to suit all tastes. Whether you like to enjoy a quiet drink with friends and loved ones or you enjoy the party atmosphere, the resort is full of friendly bar restaurants. So, if it’s an aperitif before dinner, a few drinks with friends listening to live music, the Louron Valley has all the bases covered. Shuttle buses run from Tarbes-Lourdes Airport to Val Louron direct. If you are travelling from Stansted airport or Paris Orly on the Ryanair flight to Tarbes-Lourdes Airport on Friday or Tuesday. From 5 December to 17 April you can reserve your ticket for a single or return journey or purchase at the information desk at the airport at arrivals level. In resort, payments can be made on the bus to the driver in cash. Be aware though that places are limited so a reservation is advisable. If no reservations are made for the shuttle – it may not run. Distance to Val Louron: 161km/ 100 miles, 1hrs 55mins. Private taxi transfers from airports to Cauterets are pre-bookable via Pyrenees Collection. See our Airport Transfer page for more information. Access: Then bus to Val Louron approx. 19km / 12miles. Leave your car in the valley during your stay and take the local bus that operated during the weeks of Christmas and New Year and the French school holidays. 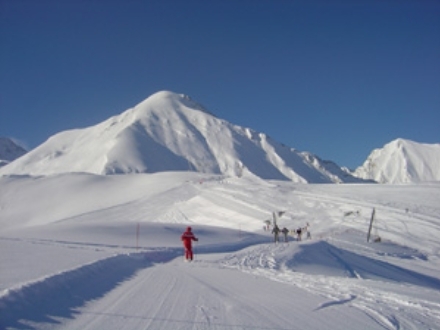 The Bus starts in Arreau and finishes in Peyragudes at the foot of the ski slopes (and vice versa) and the price is for any length of journey take. It stops at the following locations (not an extensive list). 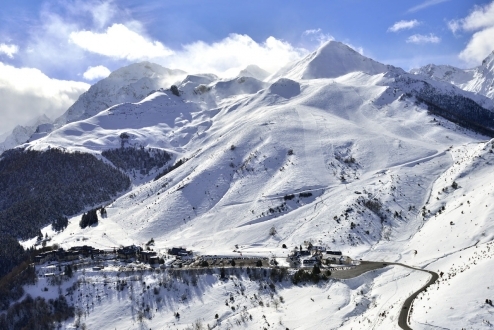 Skiers can now take advantage of the slopes of the sister resort of Peyragudes which is part of the new 'Neiges Louronnaises' ski area which offers an amazing 82km of slopes and a wide variety of terrain served by a modern high-speed lift system! See Ski Passes section for more information. The ski area is positioned in such a way so that it benefits from exposure to the sun throughout the day – this is probably something that harks back to the days when the villages were simple mountain pastures in the summer months. In the early morning the sun hits the slopes of the Louron valley side of the resort before moving round to Aure valley side in the afternoon. Val Louron offers a modest amount of varied skiing in a truly sensational setting, the surrounding panoramas are punctuated with peaks that rise to in excess of 3000m. It offers high quality snow coverage, including one of the most wonderful beginner areas of the Pyrenees, surrounded by fir trees, perfect for the novice. There is even a kindergarten on the slopes where parents can watch their little ones progress on the slopes while they relax in comfort on the terrace. Five progressive slopes, bordered by pines, means that everyone advance at their own pace. For those that choose to stay in one of the valley villages such as Loudenvielle, Val Louron can be accessed from the famous road that leads up to the Col d'Azet (used in the Tour de France as recently as 2014). There is plenty of parking at the base of the slopes when you arrive. Val Louron is ideal for families and beginner/progressing intermediate skiers who appreciate a relaxed experience in pretty sensational, away-from-it-all surroundings. 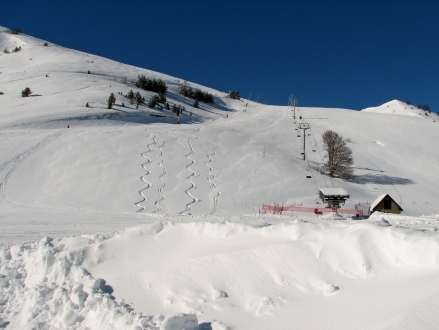 In addition to its relaxed, friendly environment and safe areas for beginners and children, Val Louron also offers enjoyable, uncluttered blue runs and some challenging red runs with a long black and some good off-piste possibilities. A great place for a mixed ability family or group of friends who may have some complete novices in their ranks. The snow record at Val Louron is also reassuring which is part in thanks to the precipitation and combined snow making facilities. The well-groomed pistes amongst the fir trees offer sheltered skiing when the weather takes a turn for the worse and some of the most amazing 360 panoramas. Of course, those who would like a break from the skiing can partake in some relaxed snow shoeing on the marked trails in the resort. The scenic trails at Val Louron offer some fantastic views down the Louron Valley towards Lac Genos. Val-Louron is specifically located in the Pays d'Aure in the Louron Valley, southeast of Bagnères-de-Bigorre. 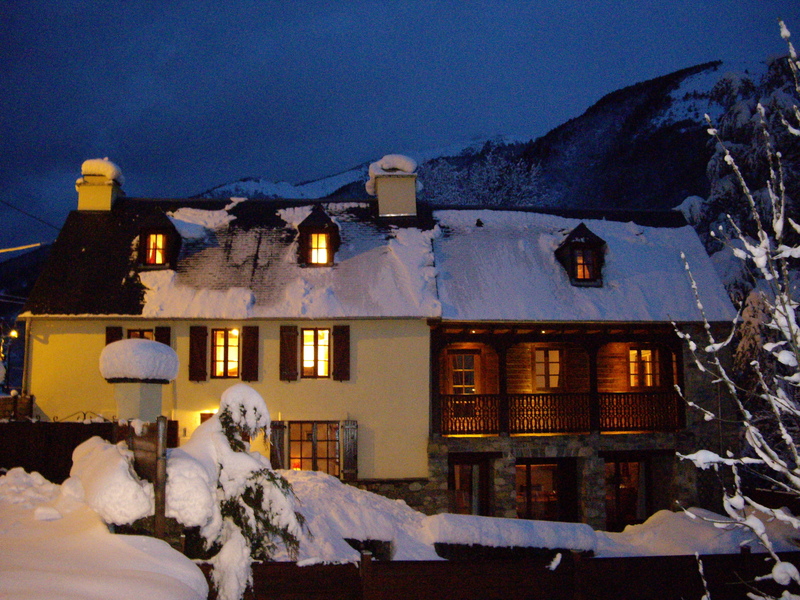 The resort sits on the slopes of the Col d'Azet which provides the access road to the resort. The road is also famous for its use during the summer in the Tour de France and featured as recently as July 2014. Val-Louron sits at an altitude of 1450m and rises up to a healthy 2100m. This small resort has slopes for all abilities and has a big mountain feel with its open slopes and 360° panoramas of the surrounding, iconic peaks such as Pic Neouvielle, Arbizon and Hourgade to name but a few. 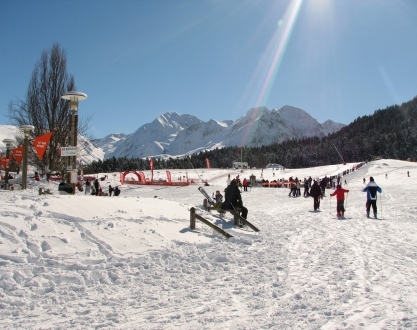 The resort of Val-Louron is particularly suited to families with an emphasis towards young children. 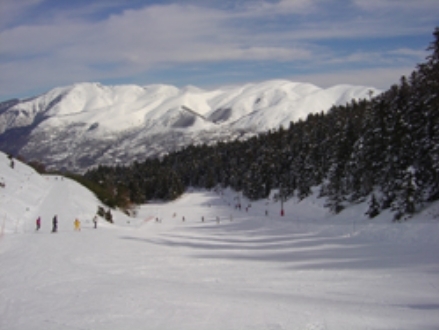 It offers high quality snow coverage, including one of the most wonderful beginner areas of the Pyrenees, surrounded by fir trees, perfect for the novice. There is even a kindergarten on the slopes where parents can watch their little ones progress on the slopes while they relax in comfort on the terrace. 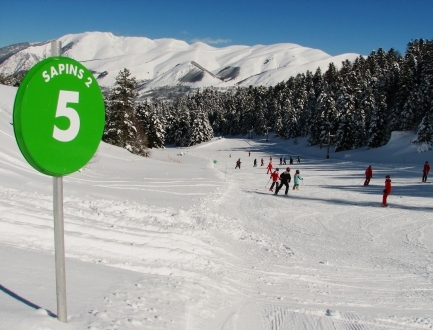 Five progressive slopes, bordered by pines, means that everyone advance at their own pace. Beyond the green-centric beginners area, progressive leaners will be rewarded with a good selection of long cruising blues, some of which you can take from the resort summit all the way down to the village. Just beyond the beginners area you will find access to the snow shoe trails situated in the Lapade forest. There are marked and easily navigable trails of increasing difficulty. 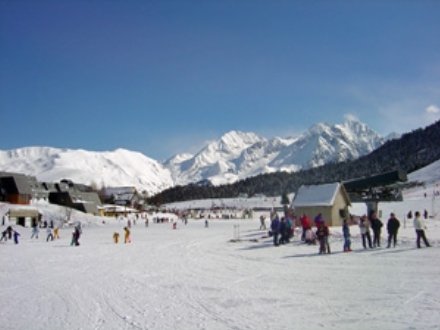 Val Louron is especially renowned for the quality of its beginner area. This fun and secure area set amongst the pine trees always has snow on its slopes and is particularly suitable for toddlers and young children. The beginner area allows them to practice in a dedicated zone, sheltered from the slopes of the more advanced skiers thus minimising the risk of collisions. The area has three lifts especially designed to facilitate learning (Trounquet carpet, Marmot tow and the Lapadé lift). 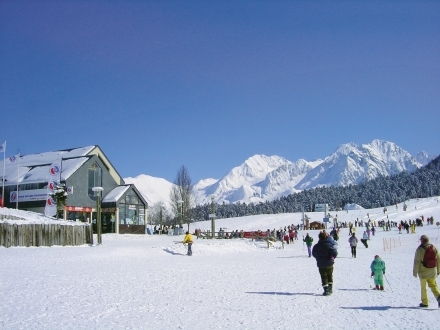 For young beginners there is also the kindergarten which is located on the lower slopes. With its colourful figurines such as bison, penguins, cows and bears and its range of games and learning modules, it is the perfect place for the first venture onto the slopes. All this can be done under the watchful eye of the parents who can choose to overlook procedings from the sun terrace while enjoying their favourite drink. Green runs are confined to the dedicated beginners area and are all well-served by the Lapadé lift. When you are ready to face the next challenge of your first blue run, the best place to practice is probably by taking the Rochers 2 man chair which gives access to some short blues at low altitude that aren't too far from the resort base. Once you are feeling more adventurous, the options in this progressive resort really open up. The Myrtilles 3 man chair from the village gives great access to the long and winding Tuco blue which returns to the village base. From the top of the Myrtilles chair you can also access the Cimes drag lift from where you can descend the long Lapadé blue. The views from the summit are stunning and the lengthy blue is a great place to practice. Val Louron has a good proportion of red-graded runs, providing an attainable, confidence-building upgrade path for those who are ready to graduate from the long blue cruisers. The Myrtilles red run served by the lift of the same name and the Combe d'Ardounes are perhaps the easiest to access as the 3 man lift runs from the resort base. Val Louron has an even mix of blue and red runs that are well suited to intermediate skiers, each presenting a different challenge or reward. More advanced intermediate skiers can really enjoy the scenic runs such as Rhododendrons and Gentianes and take advantage of the safe areas between them to perfect their powder technique. Both are served by the Cimes drag lift and offer amazing panoramas of the surrounding peaks. 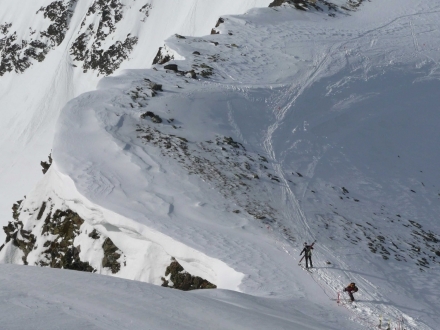 The Bruyeres lift gives access to the couloir red runs of the Combe de Courret which are challenging steep chutes for when the legs are fresh. Don't let the size of this resort or its apparent family orientated nature lead you into thinking that there aren't any challenges here for the more advanced skier. Val Louron offers some great runs for experts from the top of the Myrtilles lift. Those who enjoy a challenge should try the Isards black - a mythical run among the local free riders. This preserved slope, with its narrow chutes and plunging view of the Aure Valley make it a real treat when the snow is abundant. Bordered by pines and never groomed, it is by definition a wilderness! There are also numerous off-piste opportunities for the more adventurous - Val Louron is a paradise for powder skiing. The family orientation of the resort means that much of the powder in the bowls remains untracked. There isn't a snowpark at Val Louron, but what it lacks in slopeside trickery, it more than makes up for in free ride potential. The slopes here are never too crowded and many of them offer powder fields and bowls are great fun in terms of lift-served off piste. The steep bowls, with their predominantly red pistes offer great terrain where you can enjoy the scenic runs and take advantage of the safe areas between them to perfect your powder technique. Those who enjoy a challenge should try the Isards black - a mythical run among the local free riders. This preserved slope, with its narrow chutes and plunging view of the Aure Valley make it a real treat when the snow is abundant. Bordered by pines and never groomed, it is by definition a wilderness! The snow shoe trails are located in the Lapadé forest sector just beyond the beginners area. Here, walkers and non-skiers will find marked snow shoe trails that depart from the base station. Please refer to the Activities section for further details and guides. We have a conveniently located hire shop in Val Louron for all your ski and snowboard equipment needs. We offer competitive prices and special offers are also available. Pre-booking your equipment hire will allow you to save precious skiing time once in the resort and means you can budget for your ski holiday, knowing that it is already book and paid for. 7 days for the price of 6. Free skis.snowboard & boots (blue/red) for party leaders of groups of 10 or more, all taking equipment. 1 free helmet per child aged 6 and under for every adult booking skis or snowboards & boots (must be under same booking reference and requested on form above). Please note: General: We cannot always guarantee that prices will be cheaper than in resort. 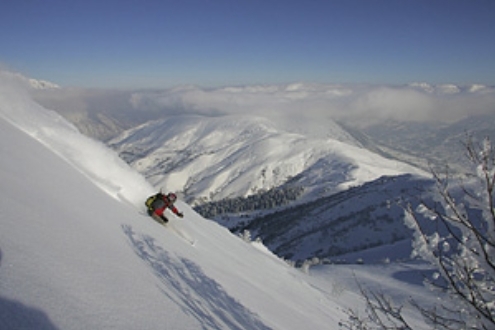 When ski packs prices are calculated, the currency is bought at the exchange rates that apply when the brochure is published. You can be assured that if the pound depreciates, you will not be charged more for your ski packs, enabling you to budget for your holiday at the time of booking. 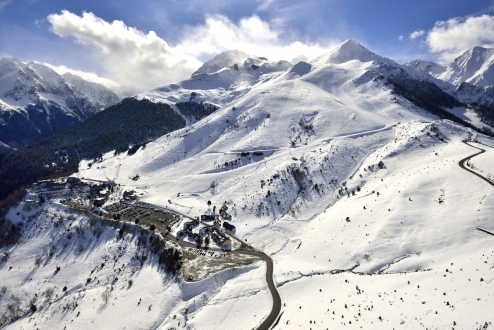 Skiers can now take advantage of the slopes of both Peyragudes and Val Louron which offers an amazing 82km of slopes and a wide variety of terrain served by a modern, high-speed lift system! NOTE: hands-free pass is included in the price. Proof of age is compulsory; please bring ID when collecting lift-passes. ESF Val Louron and its instructors welcome you in the beautiful family resort of Val Louron upon the Col d’Azet overlooking the beautiful Louron valley! With one of the largest beginner areas in the Pyrenees, Val Louron is proud to invite you to sample its beautiful beginner’s area and slopes with stunning views. The white circus as it is often called offers the possibility for ski and snowboard lessons and the team at ESF Val Louron look forward to introducing to the world of ski. 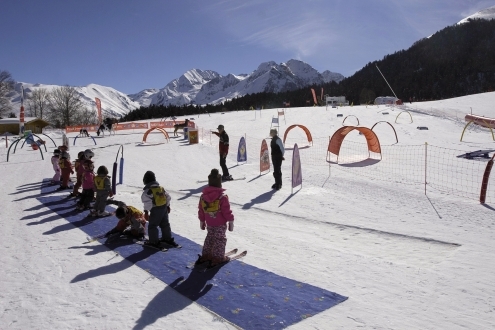 As well as group and private lessons for adults and children they also offer a snow crèche for children aged 3-11 years old who do not want to ski, they can just have fun in the snow, play games and make friends (half or whole days). Class Times: Monday to Friday: 15:15 – 17:15. Class Times: Monday to Friday; 11:15 – 13:15. Beginner Teddy: I have never skied before and this is my first time on snow. At the end I will take the Snowflake test. Beginner Snowflake: I have passed the Teddy test – I can do snowplough turns control my speed and know how to stop. At the end I will take the 1 Star test. 1 Star: I can take the lift without falling off, I am linking up my snowplough turns and am starting to side-slip. . I can side-slip and am starting on the green and blue slopes. At the end I will take the 2 Star test. Class Times: Monday to Friday; 09:00 – 10:55 & 11:15 – 13:15 (for levels up to 2* only) & 13:15 - 15:15 (all levels). Class Times: Monday to Friday; 09:00 – 10:55; 11:15– 13:15; 13:15 - 15:15 & 15:15 – 17:15 (dependant on availability). Available daily from 09.00 – 17.00 with a ski instructor of your choice (availability dependant) private lessons give a one to one experience for personalised tuition at whichever level you choose. Private lessons are available in all disciplines and are the only form of lesson for cross country skiing. You can also take a private lesson for a group of up to 5 people, however you must all be at a similar level of skiing for this option to function. During the February school holiday’s private lessons are available for 1 hour and 1.5 hours can be booked as 6 x 1 hour lessons.